Got some news? Let us know! Brendan Debonis has a new release, recorded this summer at Lady of Noise. Check it out! Michael O’Connell’s new release “Jazz Impressions of a Boy Named Franklin” now on Amazon! Give it a listen! The Split Seconds, now signed to Altercation Records, will be showcasing their latest tunes on their upcoming LP as they take the stage at Warped Tour! On their last release, they took it back to the future with an analog-fueled punk revival LP! Out now! Some press! More press! We’re looking forward to hearing their finished second record! Retro/Ricole ft. Da Mood have wrapped some tunes at Lady of Noise. Check ’em out! 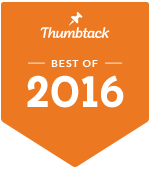 Lady Of Noise is proud to announce that we have collected awards for 2016 Best of Frederick, MD Music Recording from Thumbtack.com and Frederick Business Recognition! Jillian Taylor : Check out her last EP recorded at LoN! Criminal Virtue is working on a demo…keep an ear out for their string and stick shredding! Gabriella Rose has recorded her debut EP and has much more to come! Mike Ragan melds Christian anthems with urban, folk, and other varied unfluences. Keep an ear out! The Barking Caucasians return to the studio for some fresh takes on fresh sounds! Stay tuned! Some press! Songsmith continues working his folk magic, hopefully finding some love along the way. His latest release gets into the holiday spirit with Christmastime Again. Drew Champion has been hard at work on his self-titled EP, melding acoustic moodiness of Elliott Smith with the melodic sensibility of Sean Lennon. Debo is a talented young singer and songwriter who has compiled an impressive musical resume for his age. Check his page for his newest EP Wish That You Would Stay. Previously, his recordings at LoN resulted in an honorable mention at the 30th Annual Mid-Atlantic Song Contest in the Rock/Alternative category (against artists of all ages, I might add) and inclusion on the 2013 Peer Awards Music CD for the 2013 TIVA-DC (Television, Internet & Video Association) Peer Awards! The Knolly Moles have finished their EP Melancholy Bob. To buy your copy, click their link and check out a show! Keep an ear out for new TKM on 98Rock as well! Several hip hop artists are spreading the word with vocal sessions at Lady Of Noise, including Fresh Prince Da King, NMEz, Rick Spitta with Legendary Music Group, Mic Danger, and PM. Thanks for visiting; help these folks out and support local music! Lady of Noise Media Productions, LLC | Powered by Mantra & WordPress.